All of these little sweet paintings are 4×4 on mounted panels. I glazed them with an acrylic medium so that they would be extra glossy. They almost look like little tiles. 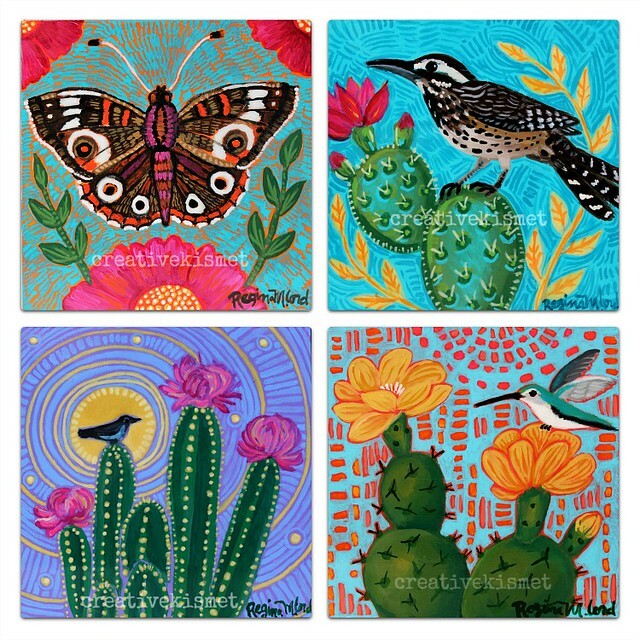 They are currently being displayed at the Tohono Chul Garden Bistro until March 9th.